This week, BizTech Magazine published a product review of WatchGuard’s Firebox T15-W, remarking on the appliance’s high-end features and enterprise-grade security protections. The review dives into the feature-packed Firebox T15-W, which combines wireless routing capabilities with its UTM functionality, is easy for IT teams to setup and manage, provides vital security protections against malware, blocks malicious email and web traffic, and more. Unlike some enterprise-class firewalls, the Firebox is easy to set up, and the default configuration can be used without the need to review and set each filter. Yet the appliance’s software also offers the flexibility to connect to sophisticated corporate VPNs, block a disparate range of inappropriate content and meet other, more complex security needs. The Firebox also features stateful packet inspection, which explores the contents of each packet and can find malware even when hidden in otherwise benign traffic. UTM combines the ability to stop downloads of viruses, rootkits, Trojans and other malware with web filtering (to block questionable websites) and email filtering (to spot phishing attempts, malware in attachments, and outgoing email that might contain malware or confidential company data). Having all these features in one control panel makes it easier for the IT team to ensure that security settings are up to date and configured correctly. 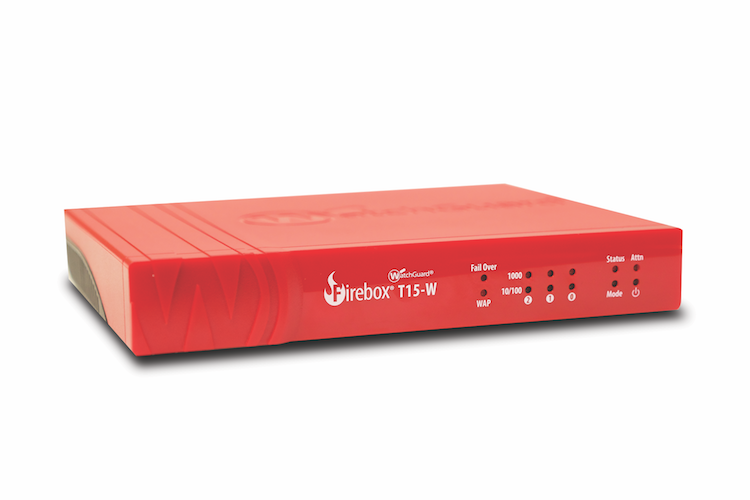 The WatchGuard Firebox T15-W security appliance not only blocks outside users from entering a network, but also applies unified threat management to monitor network traffic and block malicious email attachments, phishing attempts, counterfeit services that appear legitimate and other questionable content. The security system is more complete than most comparably priced wireless routers, and also more flexible. Check out the complete Firebox T15-W review on BizTech – and to find out which other WatchGuard products are earning industry recognition, stay tuned on Secplicity.